TAIPEI (Taiwan News)—Paddy fields along the Yilan River in the east of Yilan City and Zhuangwei Township (壯圍鄉), Yilan County are turning light yellow, and in a few weeks they will turn completely golden yellow as the harvest season draws near. 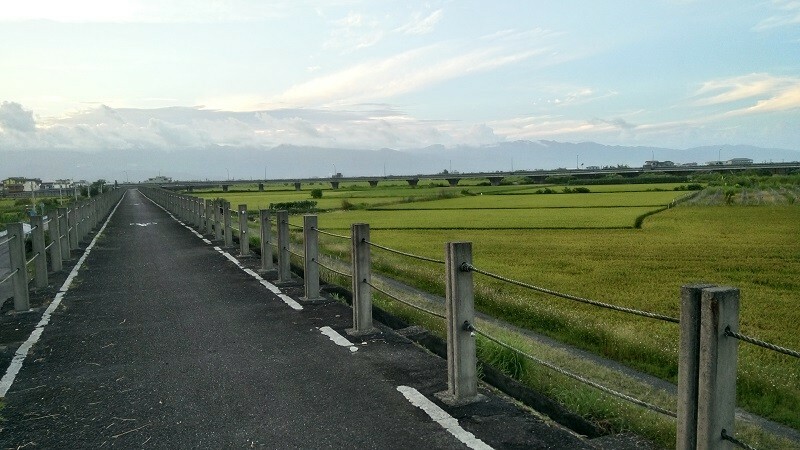 So if you like to put yourself in the scene of golden paddy fields, but don’t want to go as far as Hualien or Taitung counties, the Yilan River (宜蘭河) right embankment bikeway east of the Yilan Bridge is the place to go. 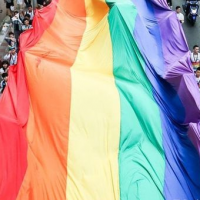 Your best bet is to carry your own bike to Yilan City either via public transportation or in your car as the public rental bike system in the city is still in shambles. Once you get on a bike, just head for the Yilan River, which bisects the northern part of the city. Actually you can start from anywhere along the right embankment, but Yilan Bridge is a good reference point because it is located midway between the east and west ends of the bikeway. Besides Yilan Bridge, Liwu Bridge (黎霧橋) and under the bridge of the National Highway 5 are both good starting points. 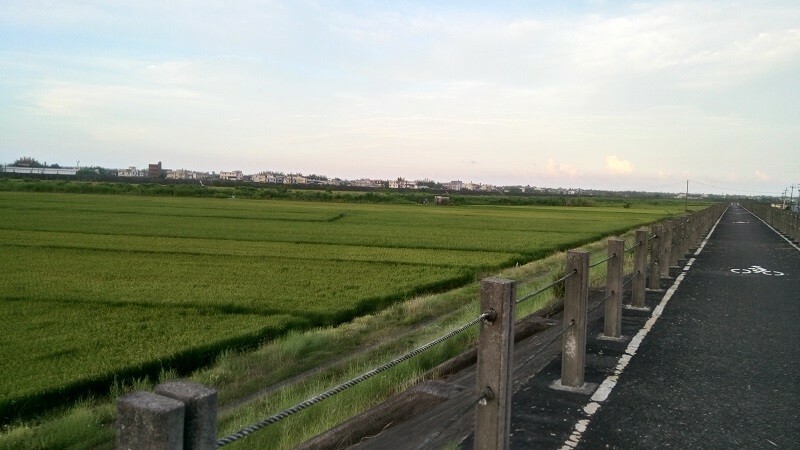 The scenes of paddy fields start about a couple of kilometers east of Yilan Bridge. 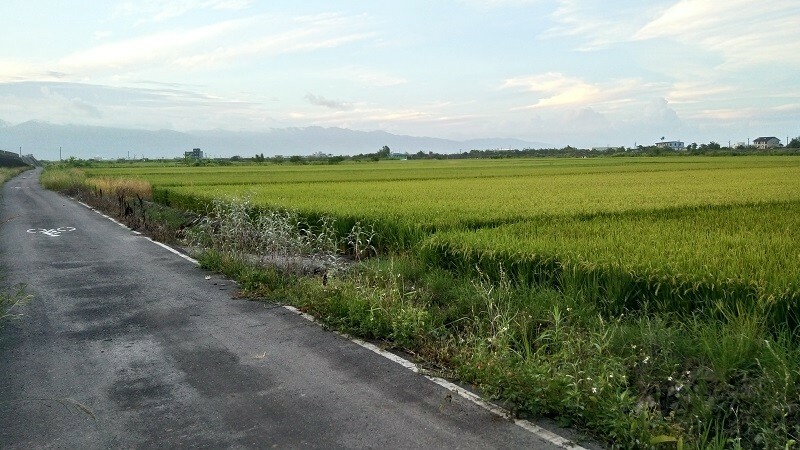 After you pass underneath the Liwu Bridge, yellow paddy fields will come into view and the fabulous scenery will continue until the end of the eastern section of the bikeway. 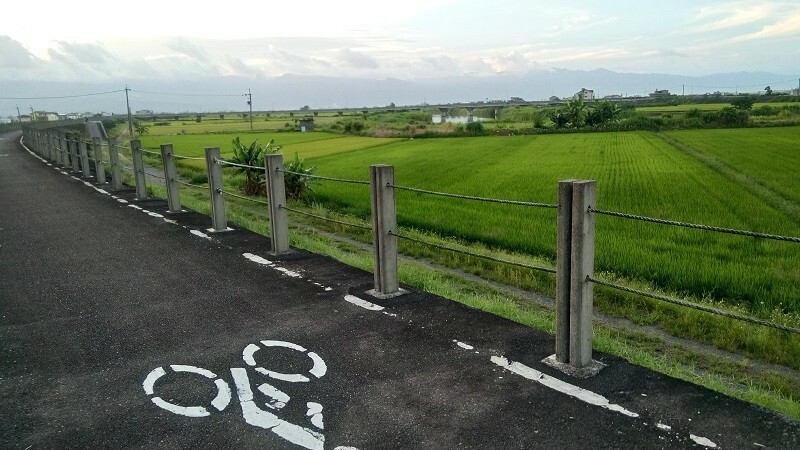 The bikeway, which is located on top of the long right (southern) embankment of Yilan River, is very clearly marked with numerous bicycle logos on the surface of the bikeway, so you won't have to worry about getting lost. 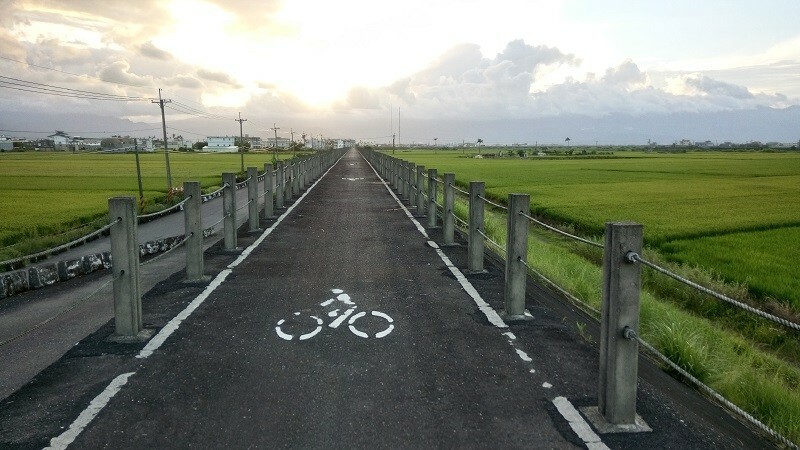 The official name of the bikeway is the Sibei Loop Bikeway (溪北環線), which is misleading because it means north of the river, when in fact the bikeway is located along the southern bank of the Yilan River. 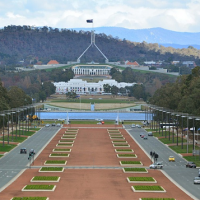 The bikeway is also extremely safe because it goes under almost all the streets, bridges, or highways it intersects. Around 4:45 p.m. on Friday (June 8), I started jogging from near Liwu Bridge towards the eastern end of the bikeway. 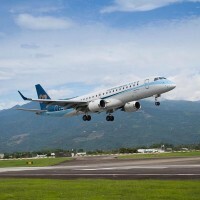 which is located at the Lanyang River estuary, where the Yilan River meets Lanyang River (蘭陽溪). 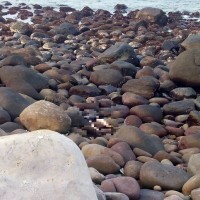 It took me about three hours to reach the eastern end and run back to where I started, covering a distance of about 18 kilometers. 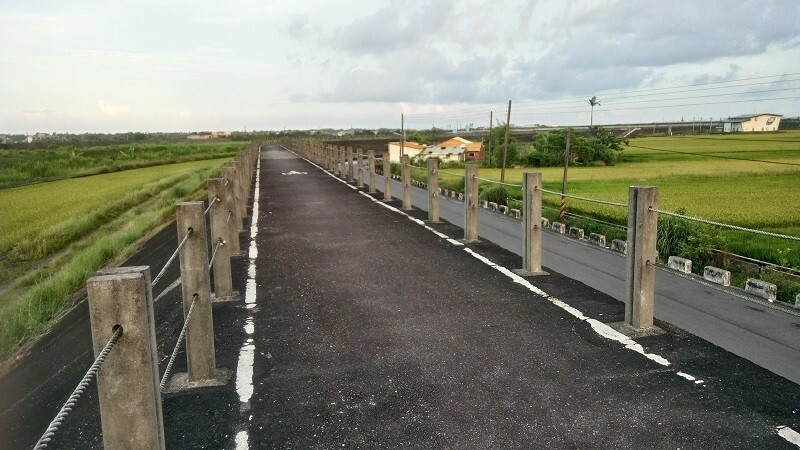 The western end of the bikeway west of Yilan Bridge is located at Shangde Village of Yuanshan Township (員山鄉尚德村). The scenery along this portion of the bikeway, which mostly runs along the city's long riverside park, is quite different from that of the other portion, but is still beautiful. I have run on the western portion of the bikeway a few times in the past.